Caleb Maupin: MLK Day Challenge to Right-Wing Anti-Socialists + Martin Luther King Was A Socialist! 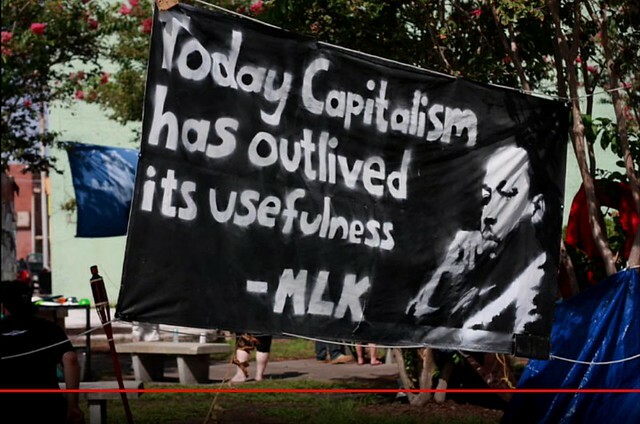 Martin Luther King was a Socialist! Your history textbooks may have you convinced he was a blind patriot and arch conservative. They were wrong. Martin Luther King was a socialist, and the following clips show him talking extensively about the need to redistribute wealth and “economic power”, the right to a job, and the dignity of the working class. Martin Luther King has been re-cast for public consumption by the very government that fought against him and made him miserable while alive. Caleb Maupin is a radical journalist and political analyst who resides in New York City. Originally from Ohio, he studied political science at Baldwin-Wallace College. In addition to his journalism, analysis, and commentary, he has engaged in political activism. He was involved in the Occupy Wall Street movement from its planning stages in August of 2011. He has worked against police brutality, mass incarceration, and imperialist war. He works to promote revolutionary ideology, and to support all who fight against the global system of monopoly capitalist imperialism. This entry was posted in Capitalism, Civil Rights, History, Labor, Politics, Poverty, Racism, Socialism and tagged Caleb T. Maupin, Inequality, Martin Luther King, Rightwing. Bookmark the permalink.